Home / Fitness / Healthy-recipes / 3 delicious soup recipes to warm your heart this winter! These hot, healthy soups will help you beat winter blues. Whip up these soups and share them with your friends and family! Cold winter is the best season to indulge in hearty, healthy and filling soups. Full of vegetables, meat and delicious flavours, soups can be as good as complete meals. These soups are not just made with nutritious ingredients, but they are also excellent low-calorie and excellent for weight loss. 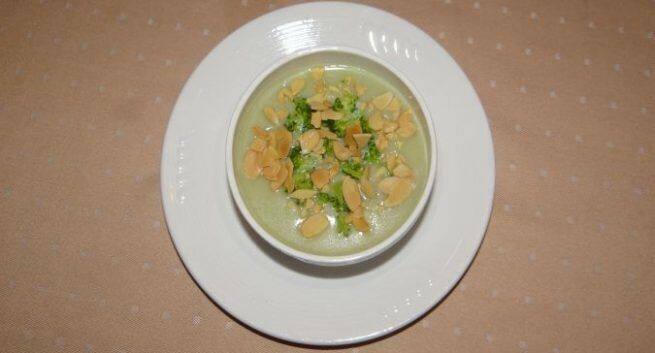 Try these winter soup recipes from the chefs of Galylord restaurant, Mumbai. Cut the broccoli into small florets and steam for about 6 – 8 minutes until tender. Place the steamed broccoli, veg. stock, 40 gms of Ground Almonds, skimmed milk in a blender and process until smooth, Season with Salt & Pepper. Pour the mixture in a pan and heat gently, Serve in bowls garnished with remaining toasted almond powder. In a heavy-bottomed saucepan melt the butter over low heat. Add in the flour and milk stirring continuously until a smooth roux is obtained. Add the powdered almonds and lastly add the vegetable stock and simmer gently. Add the seasoning and serve hot, garnished with almond flakes. Chargrilled Red/Yellow/Green Bell Peppers (quartered) 3 nos. Add the oil in a stock pot and sauté the onion, ginger and garlic, over medium heat for a few minutes. Add the whole spices, celery and carrots and chargrilled bell peppers along with the lamb bones. Increase the heat and stir for a while till the bones are browned. Add the salt, stir thoroughly and pour in the warm water gradually. Simmer the contents for an hour over low heat. Strain through a `muslin’ cloth check the seasoning and serve in bowls garnished with some reserved dices of chargrilled pepper and lamb.